As we enjoy our summertime outside, sometimes we can’t avoid to have a little sunburn or at least heavily sun exposed skin at the end of the day. How do you take care of your skin after a fun day spent outdoors? In the past, I have done what quite a lot of us do… nothing! Since I’ve been learning about essential oils and the natural sunburn remedy they can be, I have become inspired to create my own after sun sprays, and let me tell you, they’re a hit! Everyone in my family loves them and we have been using them regularly for our preferred after sun care product. 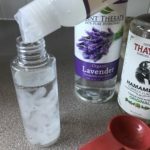 You can easily make a DIY essential oil after sun care spray at home following these simple steps and ingredients. Even my husband, who is not usually all that excited about creams, lotions and potions, LOVES the after sun spray I made. Ha! He says it’s cooling, soothing, and his skin is left feeling smooth after application. 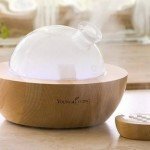 How’s that for a WIN from a guy who says things like “can you put bacon essential oil in your diffuser? !” Oh my. Well, that aside, here’s how I created a really effective, inexpensive yet luxurious feeling after sun skin care spray. All you need is 5 simpls ingredients, a fridge to store this in, and some sun-exposed skin! 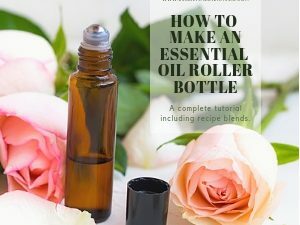 It’s easy to combine everything into a spray bottle. Close the cap, and shake well before use. Spray onto sun-exposed or burned skin for cooling effect and moisturizing relief. 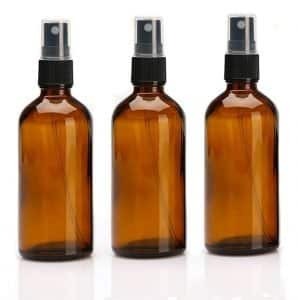 Spray as often as needed, but avoid spraying into the eyes! Keep the spray in your refrigerator for an even more soothing and cooling experience (yesssss!!). 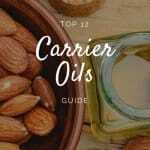 Hydrosol – What is a Hydrosol? Hydrosols are usually steam distilled and many times a by-product of the procedure for extracting essential oils. Hydrosols are made during the critical oil distillation procedure and can add value to your day-to-day skin care regimen or DIY home products recipes. 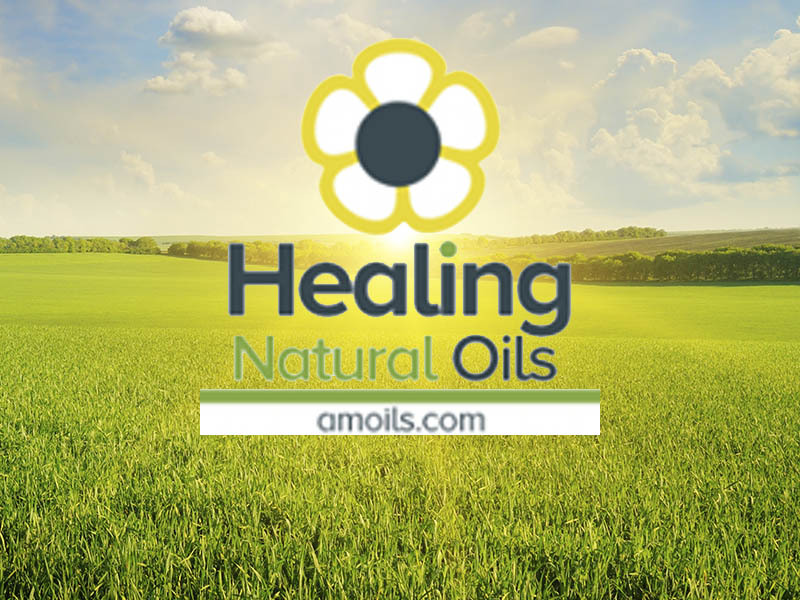 Just like essential oils, a genuine hydrosol consists of only one distinct plant species. 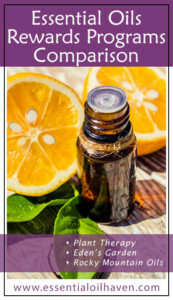 The hydrosols smell highly aromatic, equally light and refreshing – and similar to their essential oil counterparts. However, they do not smell as deep as the essential oils. 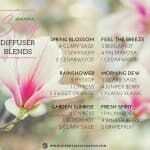 I’ve found the fragrance is usually much lighter. 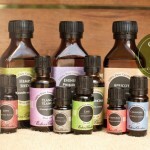 Be aware that hydrosols will vary in aroma compared to the essential oil scent you might be familiar with and expect. Hydrosols are a fantastic all-around product and may be used in various ways. 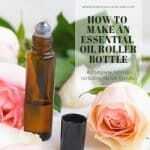 They are a great base solution to many DIY essential oil home product recipes. 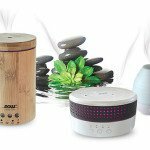 You may also use your hydrosol as a room freshener, or car freshener. Just spritz it into the air and enjoy! Hydrosols also make a fantastic all-natural body spray. 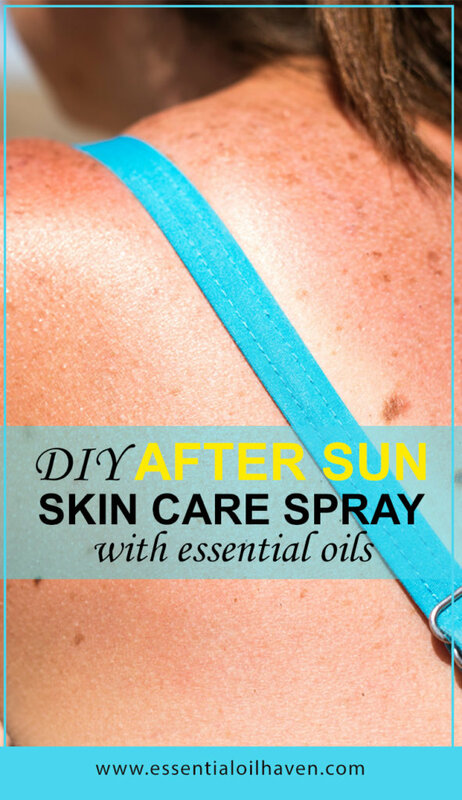 As part of this after sun care spray recipe, hydrosol is used as one third of the liquid base. 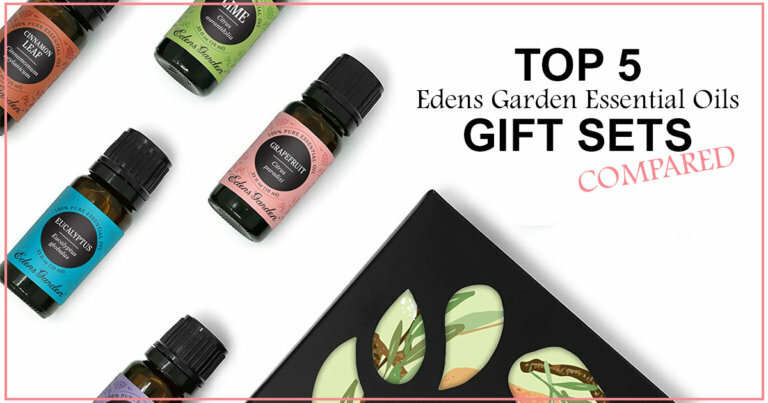 Plant Therapy essential oil brand offers a small selection of 8 hydrosols: Calendula, Chamomile, Helichrysum, Lavender, Melissa, Peppermint, Rose, Tea Tree (all ORGANIC). I’m sure if you start experimenting with this, you’ll find your own personal favorites! In case you decide to purchase some hydrosols, make sure you store them in a cool and dark place. I put mine in the fridge. Witch hazel is frequently used to deal with various skin troubles. It is mostly recommended because of its properties that soothe dry skin or itching. Witch hazel heals damaged skin, and can therefore bring instant relief to a sunburn or inflamed skin. Using witch hazel on the affected area will lessen healing time, plus prevent your skin from peeling and flaking also. Make sure that while shopping for witch hazel, you opt for the alcohol free variety if you plan to use it for skin care. 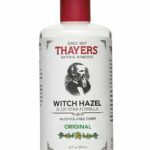 I personally used the Thayer’s Witch Hazel Original, which is made with an added Aloe Vera formula. Aloe vera is a powerhouse for skin restoration, so the more of it, the better! Aloe Vera comes from the Aloe Vera plant, which has been used as a herbal remedy for thousands of years. In Ayurvedic practice, it is called the “miracle plant”. 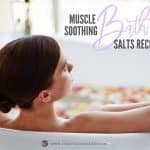 It has soothing and cooling qualities and can especially help in promoting the healing of injured skin tissues. Homemade Aloe Vera gel can easily be attained if you have an Aloe Vera plant – simply cut open a leaf and remove the clear gel inside. 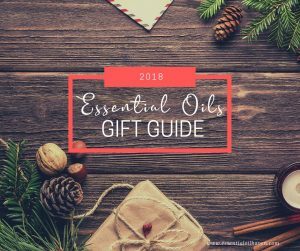 Lavender oil is considered to be one of the safest essential oils to use; and is one of the few that can be used to scent products for use on infants. 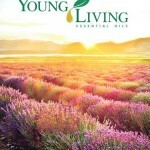 It comes as no surprise then, that lavender is now the most common and widely known essential oil. Lavender makes it possible to maintain and boost skin complexion. 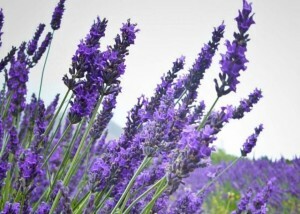 In aromatherapy, lavender is known for its relaxing, calming, and tension relieving properties. When used as part of a skin care regime, it can help reduce the appearance of scars and wrinkles, and soothe skin impurities of all kinds, including sun exposure or a minor cooking burn. 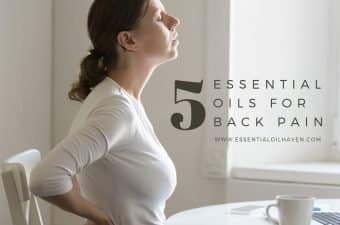 More on Lavender oil here. Peppermint is a fresh oil that stimulates the senses and improves energy levels. Because of its menthol content, Peppermint has a lovely cooling effect on the skin and is a perfect companion in a natural sunburn relief recipe. That’s a lot less than what you’d pay at a store – and it’s also a lot more natural, healthy, and sustainable. If you’ve made this recipe, please share your experience with all of us in the comments below! Why Use Natural Sunburn Remedies? Inexpensive cosmetic products use chemicals that are able to make your skin and lips dry out, rather than moisturize them. Even if you utilize good, high quality cosmetic products only – I still believe you should be quite careful regarding the cosmetic products that you use and their chemical ingredients. Natural ingredients such as aloe vera gel have help greatly in after sun skin care and can be found in any neighborhood pharmacy. If you stock a bottle of this miracle worker, the well-known aloe vera gel will come to your rescue many of times! It’s always important to wear sunscreen at all times whenever you are likely to be outside and exposed to sunlight. If you’re allergic to any of the organic products mentioned above, refrain from their usage. 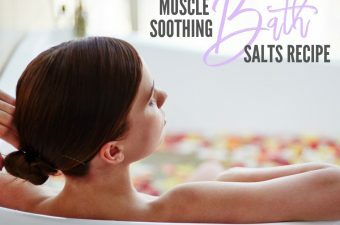 You may use products that are located in your own kitchen to take care of the blisters, rash, itching, and irritation brought on by sun poisoning. Be sure that you use an excellent high quality solution. For children under the age of 6, please consult your health care practitioner for information and guidelines. Stop using aloe vera gel if you develop symptoms of a local skin reaction, such as increased redness, a rash or itchiness. Seek immediate medical care if you develop symptoms of a severe allergic reaction, such as a generalized rash or redness, swelling of the lips or tongue, shortness of breath, wheezing, lightheadedness or loss of consciousness. A severe sunburn often causes blisters and swelling. When the sunburn involves a large area of the body, a fever, chills, weakness or even loss of consciousness can occur. Seek prompt medical attention if you have a severe sunburn over a large region, especially if you notice any of these additional symptoms. Blisters should be allowed to drain on their own and the area kept clean once this has happened. See your doctor if you notice any pus, or worsening redness or swelling in the blister area, as this may indicate an infection. 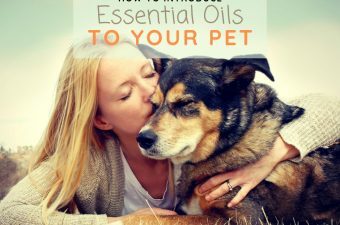 The sole purpose of these articles is to provide information about how to use essential oils. This information is not intended for use in the diagnosis, treatment, cure or prevention of any disease. If you have any serious acute or chronic health concern, please consult a trained health professional who can fully assess your needs and address them effectively. 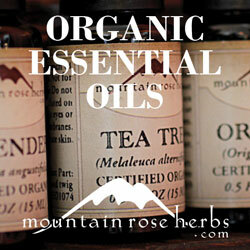 Check with your doctor before taking herbs or using essential oils when pregnant or nursing. 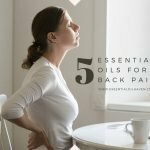 which is the best essential oil on amazon? 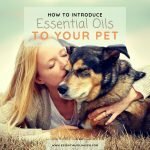 Hi Janice, I recommend Plant Therapy Essential Oils, they’re affordable but great quality and you can also buy from their organic line if you choose!